Cast removal tools to aid in the safe removal of an orthopedic cast. Fiskars scissors will cut through any padding and stockinette with ease. 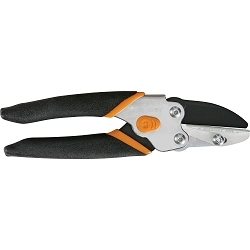 Cast cutting shears are used to cut through fiberglass casting tape without the anxiety of a cast saw. The Zip Stick slides under the cast and protects the patient during cast removal.